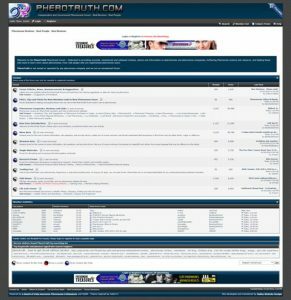 The Pherotruth Forum is a niche oriented interactive discussion forum. This is a personal website of mine that was built some years ago to provide an uncensored and independent venue for pheromone hobbyists. The current membership stands at a little over 4,000 members and usually has between 50 to 100 users online at any given time. The website is built using the myBB software platform and incorporates many programming modifications and tweaks to provide functionality that wasn’t included off the shelf. It incorporates a complete back-end administrative system, making the forum and membership easy to manage and evolve as the times change. The screen capture image below shows performance and page load speeds for the PheroTruth Forum in GTmetrix, which is a well respected website that analyses the speed and performace of websites.